Review and information about OPPO F9 and OPPO F9 PRO. This phone comes with dual simcard which can work with 4G LTE network broadband. If we are really like to have full screen smartphone, then OPPO F9 (F9 PRO) give the answer, it also have small notch at the top screen. The screen size is 6.3 inches use 19.5:9 aspect ratio. The screen comes with Corning Gorilla Glass 6 protections. Please note, we are not saying that OPPO F9 (F9 PRO) are bad, but we will give more information about plus and minus from our poin of view. OPPO F9 (F9 PRO) have 6.3″ LCD screen. The screen bezel is very thin, therefore this phone really match if known as full screen smartphone. At the top of screen we can find small notch which located for front camera. The volume button located at left side of body. The power button located at right side. Some users who are familiar right side volume have to get used to this volume location. At the back side of body, we can find dual camera with 16 mp + 2 mp. This camera located at top left corner, and the dual cameras are located horizontally. Fingerprint is located at back side of body, it is easy to touch for unlock the screen. Now we go to processor information. OPPO F9 (F9 PRO) use Mediatek MT6771 Helio P60 which can run maximum with Octa-core 4 x 2.0 GHz Cortex-A73 & 4 x 2.0 GHz Cortex-A53 CPU. This is mid end smartphone, but with this 64 bit processor, we can find a lot of advantages like AI capabilities, dual camera with faster autofocus, and also longer battery life because it use 12 nm technology. To install more applications, we need to have big internal memory. Advantages of OPPO F9 (F9 PRO) already have big internal memory with 64 GB storage. If we need more bigger capacity, we still can add additional storage with microSD maximum 256 GB. Good poin of external memory have its own dedicated slot, so we still can use dual simcard network provider although we use external microSD. There are two options for 6 GB or 4 GB RAM. Of course more bigger RAM will give better multitasking capabilities. Demerits of OPPO F9 (F9 PRO) does not have USB-C port, this phone still use old style Micro-USB port. However plus point of this Micro-USB have fast charging battery technology which call as VOOC flash charge, this fast charge technology can make 5 minutes charging time equivalent with 2 hours talk time. Other advantages of Micro-USB port at OPPO F9 (F9 PRO) that it can support to read flash drive using USB On The Go (OTG). For anyone who love to listen music, having 3.5mm headphone jack is very important, OPPO F9 (F9 PRO) still have this port which located at the bottom of body. With fast flash charging technology, this phone have 3500 mAh battery capacity. OPPO F9 (F9 PRO) use ideal smart battery management to make battery work more longer. This phone use dual camera at back side of body, with 16 megapixel with good aperture number f/1.8 for bright photo result at low light situations and second camera use 2 megapixel for deep of field (bokeh) effect with aperture number f/2.4. Important features from OPPO F9 (F9 PRO) camera which use Mediatek MT6771 Helio P60 already have AI technology for portrait photos, it have AI Beautification 2.1 to make more beautiful result for personal pictures because this phone have ability to recognize 296 point of face recognition for better result. The AI technology at OPPO F9 (F9 PRO) also very important to learn and give good setting for better pictures such as brightness, exposure, color and other setting depend on what we shoot. Selfie camera also have good performance with 25 megapixel with HDR hardware sensor, it is also work with AI technology for better and beautiful photos. Demerits of front camera because it does not have light LED flash and also only have aperture number f/2.0. However, the picture result still impressive. 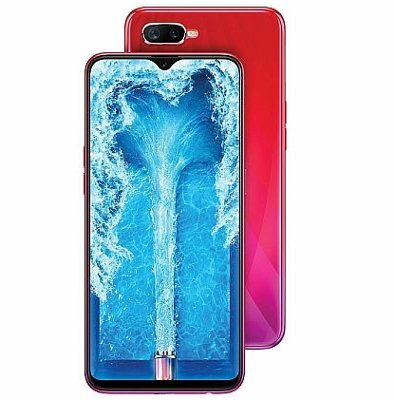 Is OPPO F9 (F9 PRO) Worth To Buy ? If we want to have full screen smartphone as big as 6.3 inches width, and have good AI photos, then OPPO F9 (F9 PRO) is worth to buy. This is mid-end smartphone, therefore the price is not too expensive. We can have flash / quick charge and able to take bokeh photos for portrait pictures.